In today's video, I respond to some criticism I have received on some of my recent posts. One of the things I love about blogging is the dialogue we have in the comments section. There are many times, however, where I feel I am misunderstood. In today's video, I respond to my critics as I discuss my budget wardrobe for this year as well as the adulting controversy that took place on the blog. 1. Quality vs. quantity is important when choosing your ten-item wardrobe. One aspect of this that many people miss is you must purchase the best quality you can afford. Do not go into debt over your ten-item wardrobe. 2. In my Teatime with Jennifer discussing adulting, I mention that all age groups (millennials, gen Xers and even some baby boomers) are struggling with adult responsibilities. I do not pin it only on the millennial generation. 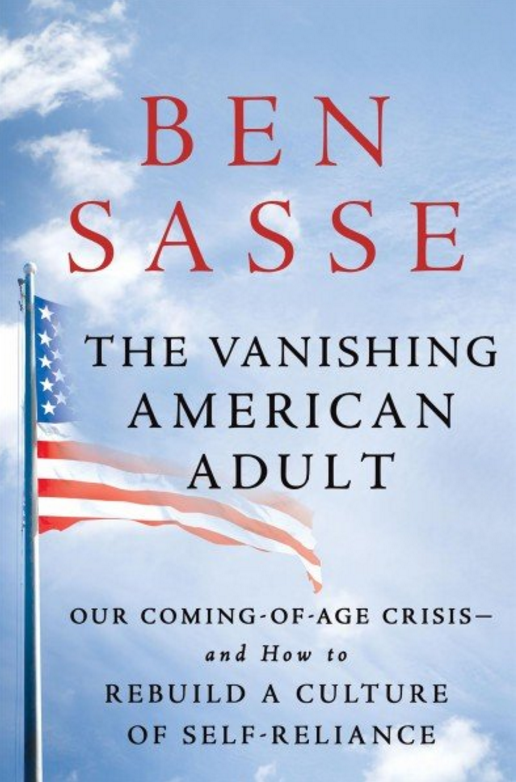 This adulting (or lack thereof) phenomenon is evidenced with the hashtags and the artwork, but also with Ben Sasse's New York Times Bestselling book, The Vanishing American Adult, which discusses many of the topics I brought up in my video. I hope you enjoy today's video as I clear up some issues on the blog today! Check out my interview with Collective Hub on the ten-item wardrobe and why it is so liberating. Take my new eCourse on the ten-item wardrobe! With over an hour of never-before-seen video instruction, notes and quizzes, you will feel prepared to create your own ten-item wardrobe. For those of you who already do the ten-item wardrobe, this course will keep you on track and provide further inspiration. The course is self-paced and includes a lively comment section with other ten-item wardrobe enthusiasts. Enjoy! Here are some great testimonials from people who have taken my eCourse on the ten-item wardrobe. Dee D writes, "I'm enjoying this course so much. It's giving me a system for thinking about my wardrobe and organizing it in my mind. Usually I go into a clothing store and am overcome with confusion by the number of choices. It just makes so much more sense to lay out a plan first and determine where the holes are." Emily L writes, "Truly loved this course Jennifer! I have been following your blog for years and I have also been following others that are focused on minimalism. I don't think I am quite ready for a truly minimalist lifestyle but the 10-item wardrobe is definitely a place to start. I have also been applying your principles to our home since our move last year. I have been gradually work on just keeping quality pieces around our home. It's a work in progress. With the upcoming change in seasons, I am more encouraged to thoughtfully go through each piece! Thanks again!" I am a long time reader of your blog and of your books. Thank you so much for your insight and inspiration. I am a member of the younger generation as well; however, I do not define myself with just one word. I agree with your statement in this video. I have older parents, from the baby-boomer generation. My parents worked "blue collar" jobs all their life. They were and still are very hard working. I don't believe I ever heard them make the complaint that they couldn't do something on a particular day. Occasionally, they would have rough days at work, but that didn't mean they wouldn't go back or that they would limit themselves after they returned home. My father was a truck driver, retired now, who dressed for work. He would wear slacks, buttoned down shirts, and shined shoes while driving. My mother would wash, fold, and iron his clothes each week and pack them for him. He never wore a wrinkled piece of clothing. My mother was a school cafeteria worker and she always dressed with respect for her job as well. They were never too busy to complete house work, teach me life lessons, or help me with my homework. I know I benefited from their example. I was taught early in life that everyone has a job to do that benefits society in some way. No one person is beneath a job and everyone deserves respect. I started out working at McDonald's, and I have work my way through various jobs, and now have my dream job. I have learned a great deal from my previous experience and hold on to those good and bad learning opportunities. Those learning opportunities were very valuable and I wouldn't be who I am without them. About dressing appropriately, I do believe it's a matter of respect. I recently attended both a wedding and a funeral. At each event I saw people wearing jeans. At the wedding I saw someone wearing yoga/workout wear. I was personally upset by this because I don't think those people were showing proper respect for not only themselves, but for the events, as well. I'm trying to remember to be the change I wish to see in the world. Again, thank you for the inspiration that I think many of us need and benefit from. Emily, I loved reading about your family. It's clear your parents did a great job raising you and showing you excellent examples of hard work. I would love to know what your thoughts are on today's video. Debt-free living, budget wardrobes, living to please other people, adulting... I want to read your comments. Yours could be chosen as comment of the week on the blog! Have a wonderful weekend and I will see you on Monday for a September Favorites video. When teaching people about the ten-item wardrobe, I am always talking about discovering your true style. As you rid yourself of the clutter in your wardrobe and wear your best on a daily basis, your true style becomes more and more apparent. Today, I am very pleased to start a new series on the blog called, What's Your True Style? In this series, I will be asking fascinating people to describe their true style. 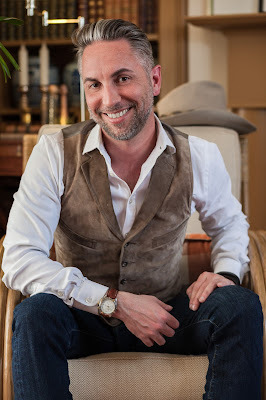 I am pleased to kick off this series by interviewing interior designer, Aaron B. Duke. Aaron is a fan of the Madame Chic books and a believer in cultivating style in all aspects of life. Rather than discussing fashion, today we will be talking about Aaron's style with relation to interiors. 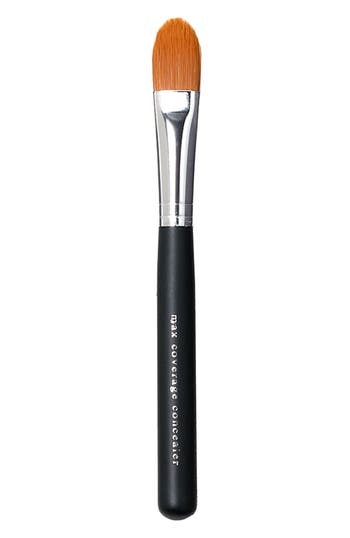 The simple answer is: Modern luxury with a classic and timeless style. Let me expound upon that definition. Modern luxury: This is completely subjective and can be interpreted by people based on many factors including: location; religion; how they entertain; their values; their priorities; etc.…and has no basis in money. For one person, it might be creating a soothing, calming, and relaxing bedroom retreat – a place to go at night to read a book, watch television, use social media, or have alone time away from their children. Another person’s idea of modern luxury might be a master bathroom decked out with the latest and great plumbing and technology features. It is different for each person, and they can define it however they chose. There is not right or wrong answer. Classic: This is where art, history, and science intersect. The Fibonacci series and The Golden Ratio date back to ancient Egypt, Greece, and Rome. It can be seen in architecture, art, and music throughout the centuries, and is considered the way of creating harmony. For me, this is something that I consider everyday. 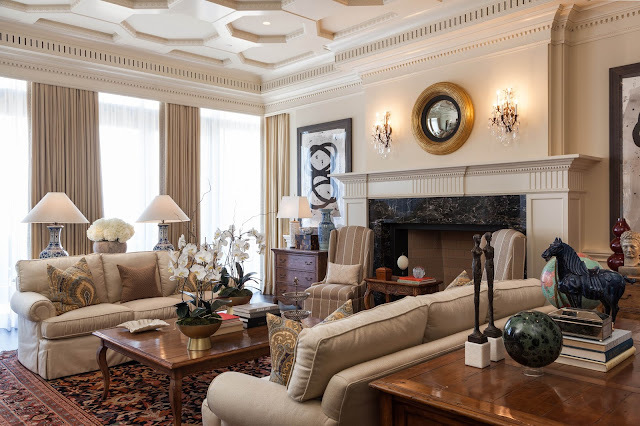 It is selecting furnishings that are in proportion to the scale of the room and to the other pieces in a room. For example, if you have a smaller living room, a large, overstuffed sectional – although comfy – might not be the best option. Timeless: When I was in design school, someone had donated the complete collection of Architectural Digest Magazines from the 1970’s – 1990’s. I spent a lot of time studying these older publications. What I was always drawn to where the projects that would still be relevant today. They were not filled with the latest trends, but they transcending time. 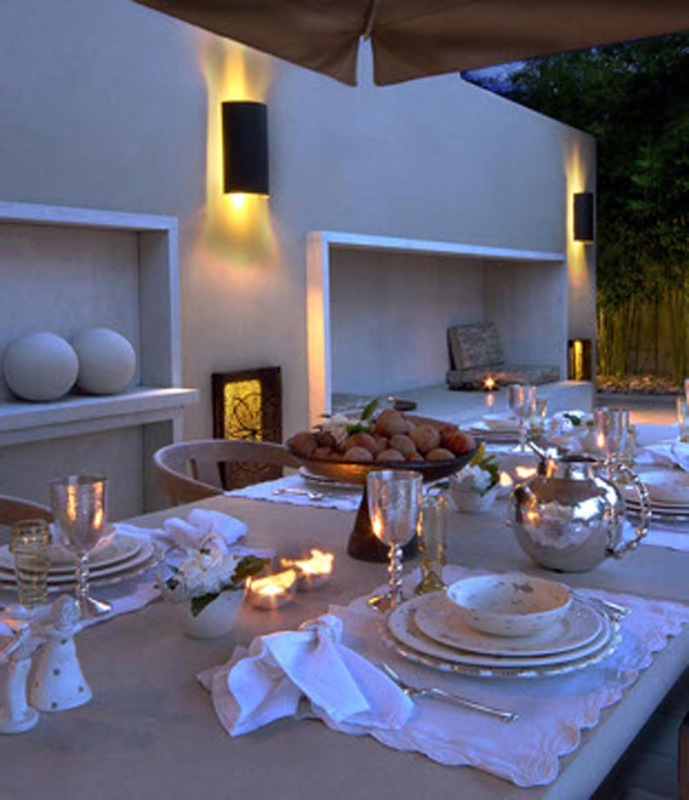 In my opinion, I prefer to provide my clients with a design that is going to be enduring rather than quickly outdated. Aaron, I would agree that your style is a perfect combination of modern luxury, classic and timeless elements. 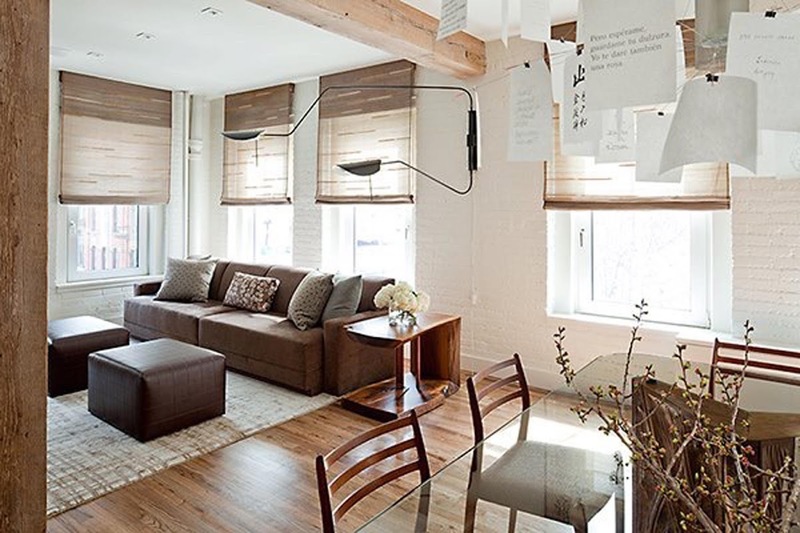 Your interiors are beautiful. Thank you for sharing some of your portfolio with us! 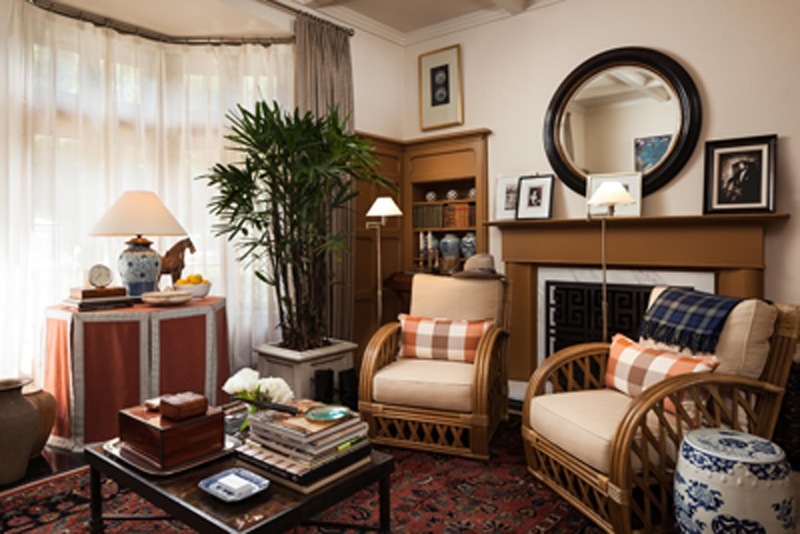 Aaron B. Duke is an interior designer based in Los Angeles, California. His beautiful and timeless interiors are created with a vocabulary of classicism, textural, predominantly neutral-hued palettes, sophistication and timeless design solutions. You can sign up for Aaron's bi-monthly emails where you receive a free style guide, design tips, inspiration, our project features, and more. Find him on Facebook, Twitter, Instagram, Pinterest and Houzz. I hope this series encourages you to not only find your true style, but define it. Today, I would love to know... which of the above rooms designed by Aaron is your favorite and why? Thank you, Aaron for being a part of this series! Labels: Aaron B. Duke, finding your true style, Interior Design, Interiors, What's Your True Style? 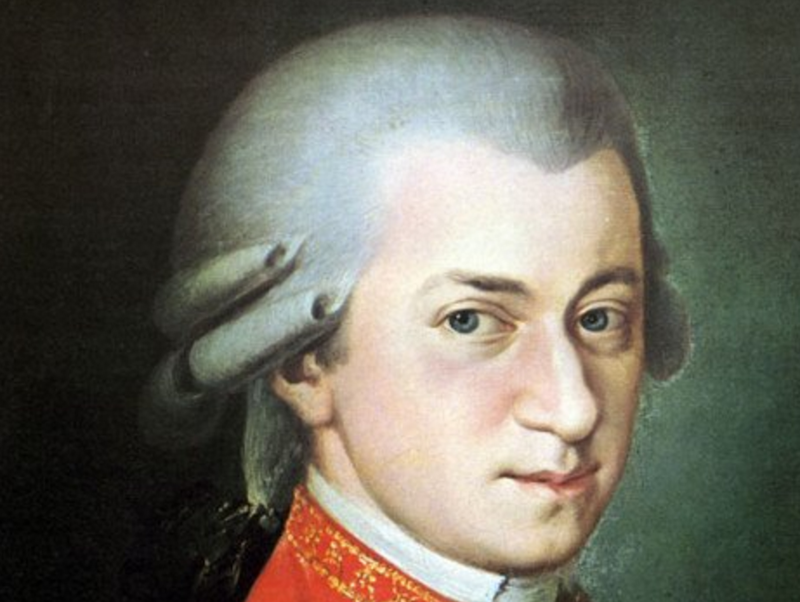 With much of today's popular music being so dumbed-down and full of vapid lyrics at best, and violent and sexually explicit lyrics at worst, exposing your children to classical music is now more important than ever. In today's video, I make a case for why you should play classical music in your home and while you're driving. Of course, it's not the only type of music you should play, but if you introduce it to them while they are young, they will cultivate an appreciation for it now and be able to discern between enriching music and music that leaves a lot to be desired. - Play classical music in the car and play it in the home. - Play it whether you feel like listening to it or not. If you only played it when you felt like listening to it, you might not play it very much. - Regular listening will help them develop a love for it. The only reason why I like classical music is because I heard it in my home growing up and it gives me positive connotations. - Much of popular music today is dumbed-down with repetitive, simplistic beats. Plus the lyrics are down right wrong in many popular songs. Do we want our children to sing those songs and have those lyrics in their head? While this might not be a popular opinion of mine, it has a lot of merit. Check out the lyrics of the songs on the top 40 lists across the country and truly examine whether you want your children to be saying the words in those songs. - Not only listen to classical music, but learn about the composer's lives. Many of the great composers like Beethoven, Mozart, Chopin and Bach were true geniuses who cultivated their musical skills early in life. Did you know that Mozart was writing his own compositions by the age of 6?! He wrote his first opera, Mitridate Re di Ponto, in 1770 when he was only 14 years old. 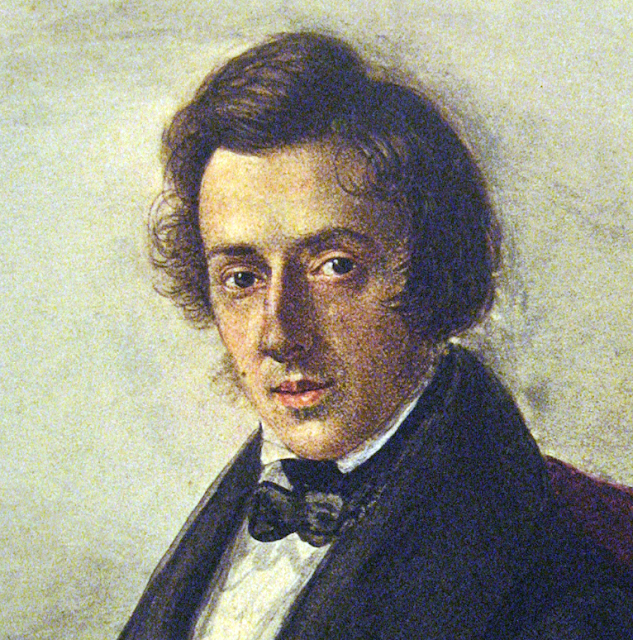 Chopin was composing and writing poetry at six, and gave his first public concerto performance at the age of eight. To make money in his early career, Chopin taught piano lessons. 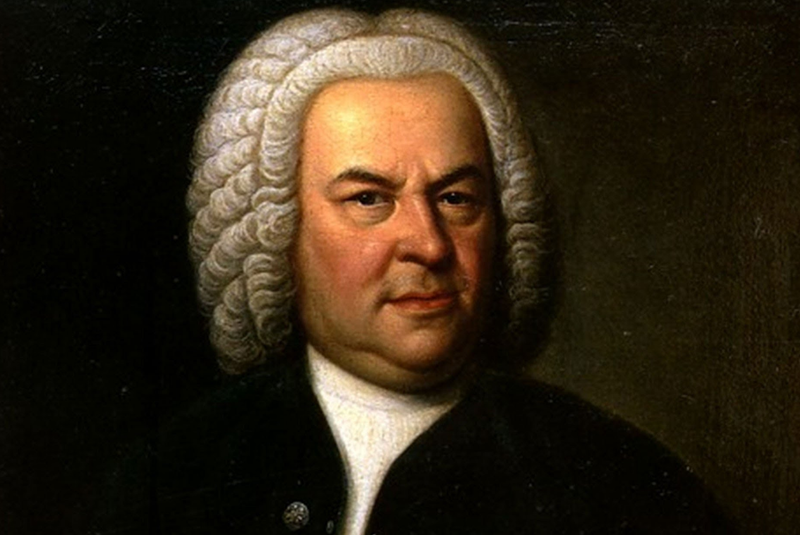 He was a big fan of Bach, so he made his students play Bach's compositions. 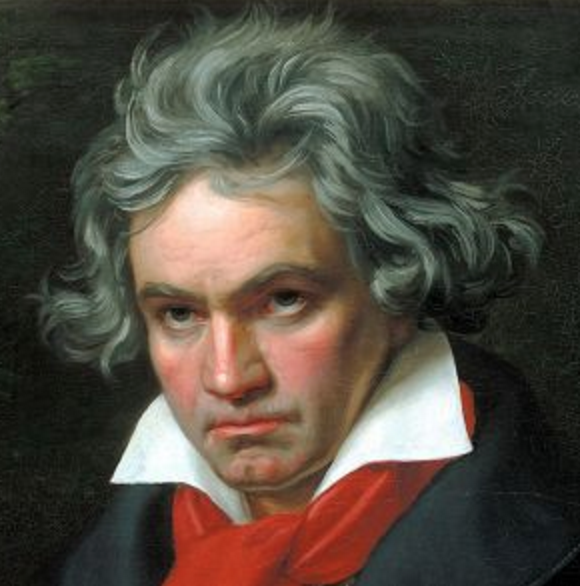 Your homework is to listen to Beethoven's Piano Sonata No. 14 in C-Sharp Minor "Moonlight" Op. 27 No. 2 : III presto agitato. Click the link and listen to it on YouTube for free. I also list an album below which includes the song. Now please note, before my critics get up in arms, I am not saying that all modern music is bad. Certainly not! I am saying that it is important to hold on to the appreciation of classical music, which has so many beneficial qualities. Playing classical music will instantly relax you. Your children will work and play longer if they are listening to classical music in the background. It stimulates your thinking and can boost your creativity. I have written most of my books while listening to classical music. It is a great motivator! I am a big fan of Classical KUSC, which is a free public radio station that you can listen to on the radio at 91.5, or online any time of day. They are a listener- supported station, so there are no advertisements. I believe what they do is important, so I am a sustaining member at Classical KUSC. Of course, you can listen to classical music many other ways, including over iTunes, Pandora, or dig out some old CDs that you likely have in your music collection. Whatever you do, commit to listening to more of it today. It will enrich your life for the better. I promise! 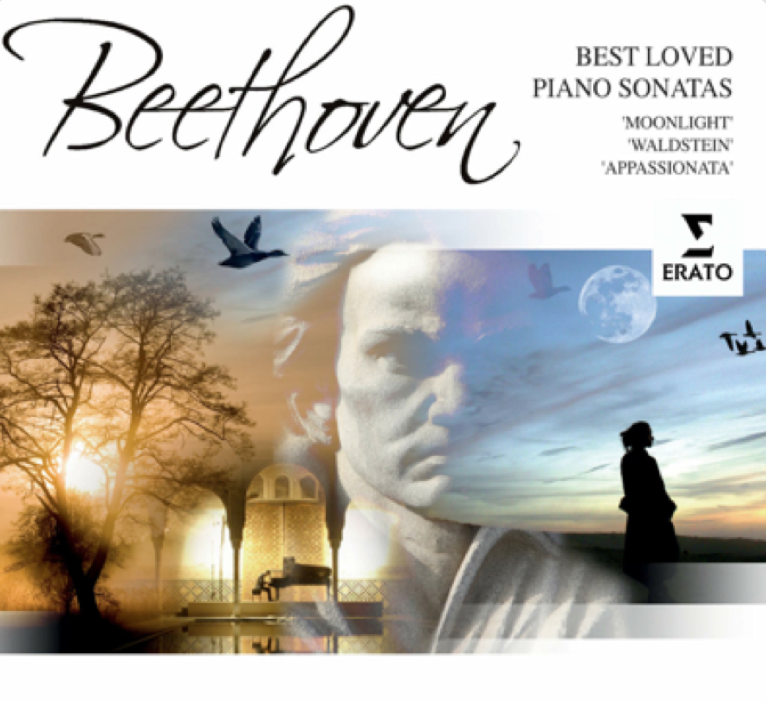 Beethoven Best-Loved Piano Sonatas This is one of my favorite albums with the famous Moonlight Sonata included. The song I mention in the video, Piano Sonata No. 14 in C-Sharp Minor "Moonlight" Op. 27 No. 2 : III presto agitato is also number 3 on this album. 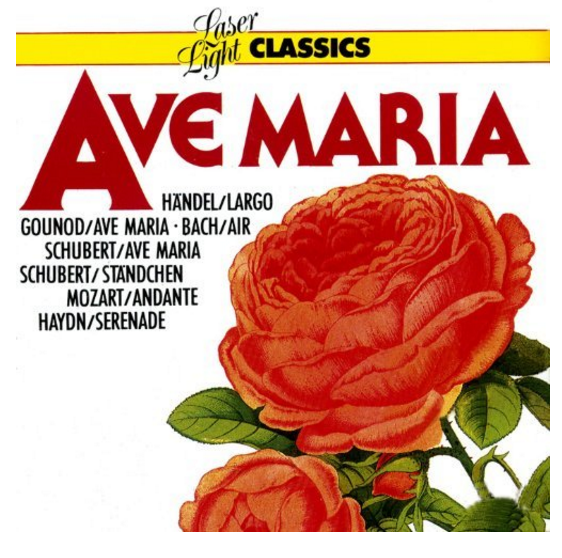 Laser Light Classics Ave Maria This is such a beautiful album and every song is truly magnificent. 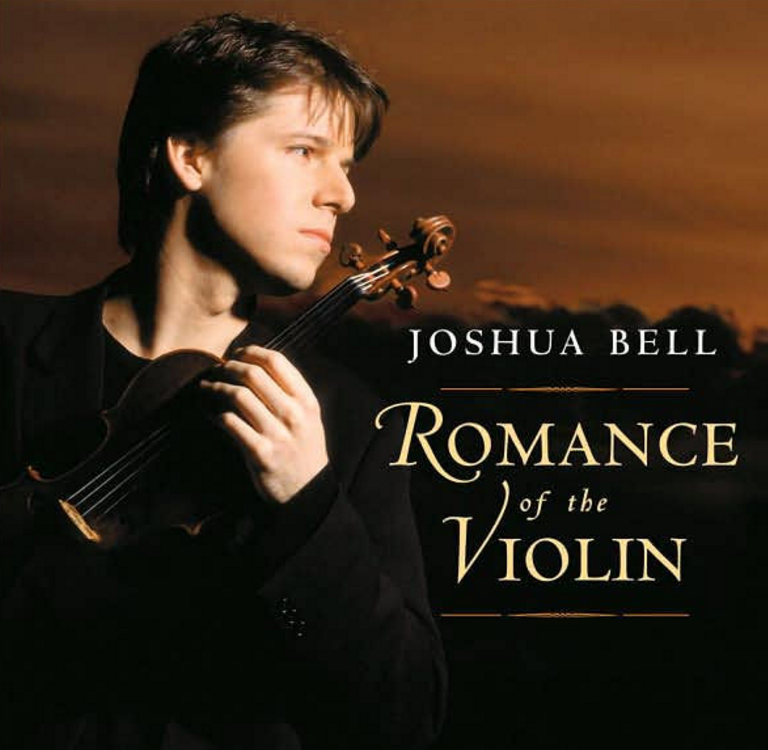 Joshua Bell Romance of the Violin This album is full of romantic violin classics, beautifully played by Joshua Bell. 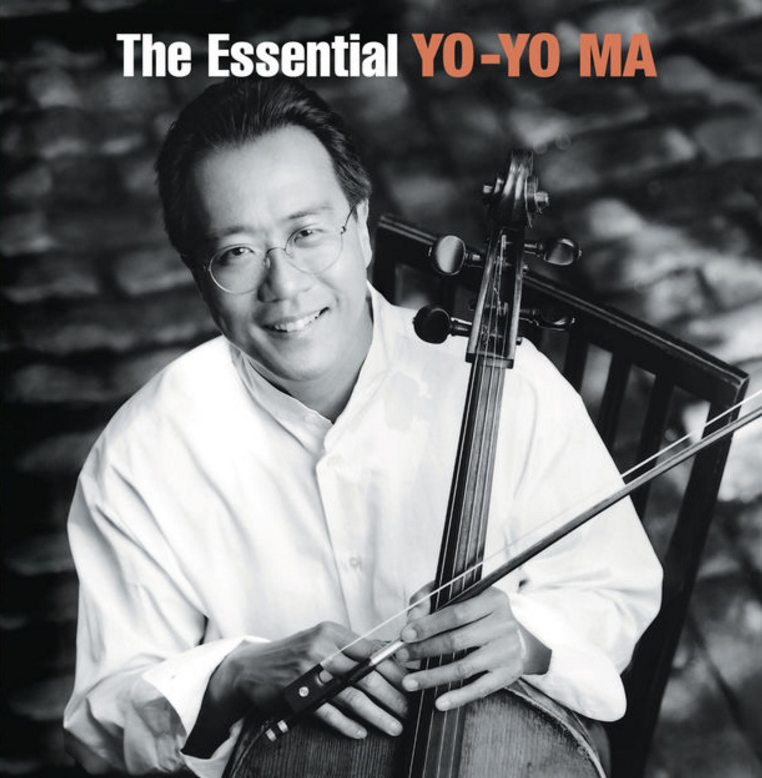 The Essential Yo-Yo Ma Yo-Yo Ma is the world's most famous cellist and in this classic album, he plays a variety of composers, the perfect introduction to classical music. 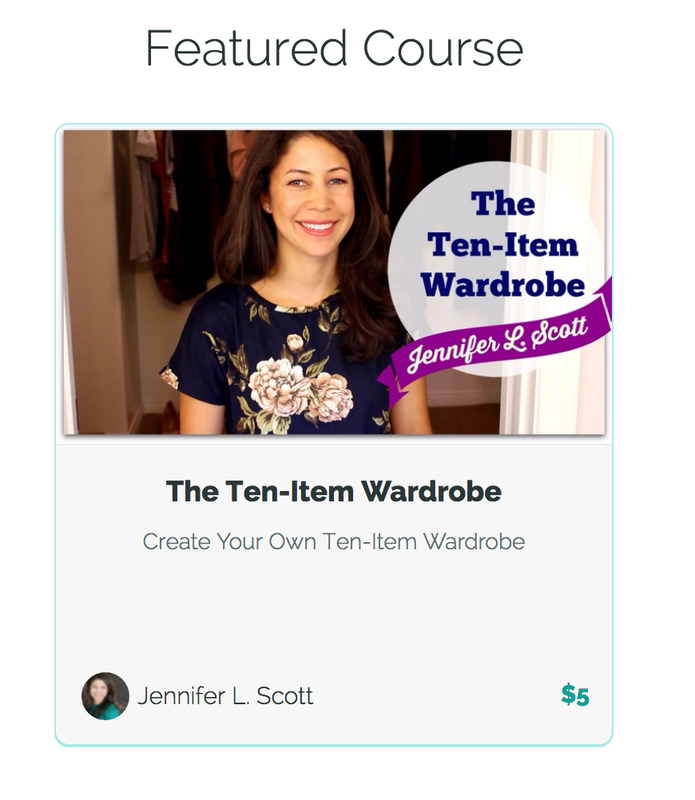 Take my new eCourse on the ten-item wardrobe! With over an hour of never-before-seen video instruction, notes and quizzes, you will be on track to creating your own ten-item wardrobe. For those of you who already do the ten-item wardrobe, this course will keep you on track and provide further inspiration. Enjoy! Sandra K writes, "Thank you Jennifer, this is a course that is really changing my life. It is something that I needed, not only to stop spending money aimlessly but to truly find my own style. I loved the course I can tell you it can only begin one piece at a time. I am so excited!" Susan H writes, "Great course, very inspiring! Thank you for putting it together and making it affordable too!" Thank you, ladies! I am so happy you have enjoyed the course! I am really enjoying the dialogue in the comments from the ten-item wardrobe community! r.brow draws some of her favorite bloggers and The Daily Connoisseur makes a place! Adult privileges and adult responsibilities used to come hand in hand. Having worked in the field of Early Childhood Education for many years, it has been my observation that this is often no longer the case. Privileges that used to be reserved for adulthood are being given at earlier and earlier ages, while responsibility in general seems to be increasingly delayed. I have also noticed a shift in the way adults speak to children about growing up. There seem to be a lot of comments about how children should enjoy their freedom while they can, etc. Rather than looking forward to becoming a grown-up, as children typically used to, they now seem to dread it and delay the inevitable acceptance of responsibility as long as possible. I thought your comment was very astute! I will be addressing the adulting critics in Thursday's video. I hope to see you all there! Today I would love to know... what do you think of today's popular music? How do you feel about your children singing lyrics from popular songs? What is your favorite genre of music? Who is your favorite composer? Do you play classical music? How and when? Let me know and your comment could be chosen as comment of the week on the blog! Hello from Vale Do Lobo, Portugal! We have arrived in Europe. Learn how our flight went, what castle we visited in England and take a drive with us to Santa Bárbara de Nexe all in today's video. Here is a testimonial for the eCourse from Charlotte V, who writes, "Thank you for taking the time for this course. It has inspired me to finally actually do the 10 item wardrobe... not just dabble with it. I'm sure I'll be coming back to this course for encouragement as the changing seasons approach and I get anxious about keeping it minimal. Take care." Thank you, Charlotte! Please check in with us and keep us updated! So Many Changes blog tries out the ten-item wardrobe. Here are some more pictures from our trip... We visited the charming town of Loulé. I love the blue and white tiles! I had to get an apron... I'll reveal which one in a future video! What a beautiful city. I'm truly enjoying my time in Portugal! I filmed the driving portion of this video on the Gimbal Osmo. This is a great device to steady your filmmaking as you are moving around. Before closing, I pray that everyone affected by the earthquakes and hurricanes are safe and comforted during this very tumultuous season. It seems that every week there is new tragedy on a global scale. My hope is that everyone affected by these natural disasters is able to find safety, comfort and peace. Thank you for joining me today and I will see you on Monday! 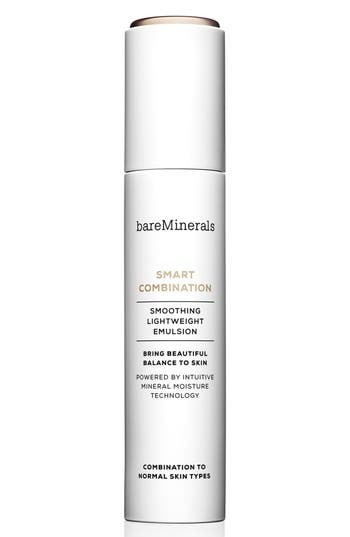 It has been a long time since I've posted a Bare Minerals Review. 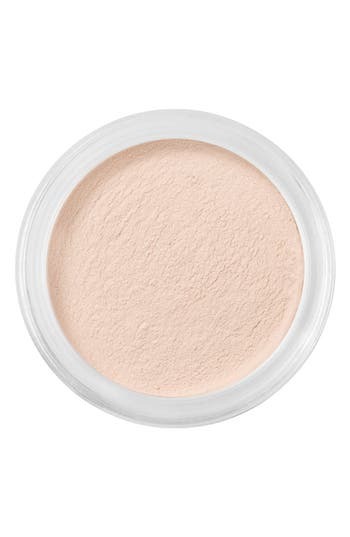 My last review was several years ago and shared their powder mineral makeup. 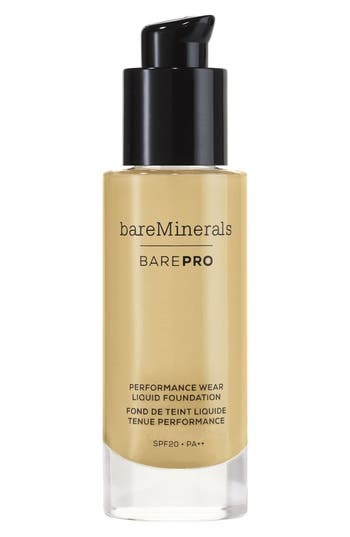 I was nearly out of foundation and also was in need of a few other makeup items, so I took advantage of a mail coupon I received and decided to see what was new at Bare Minerals. 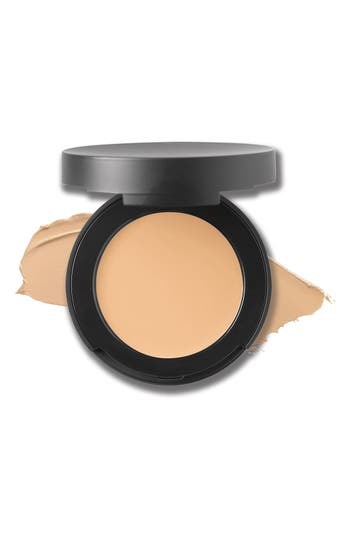 Today's review shares the new products I bought, including their liquid foundation and cream concealer. 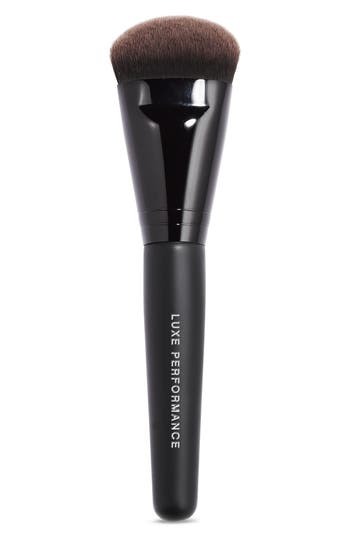 I've been wearing these for weeks now and have only brought this makeup with me to Europe to simplify my makeup routine. I love them! 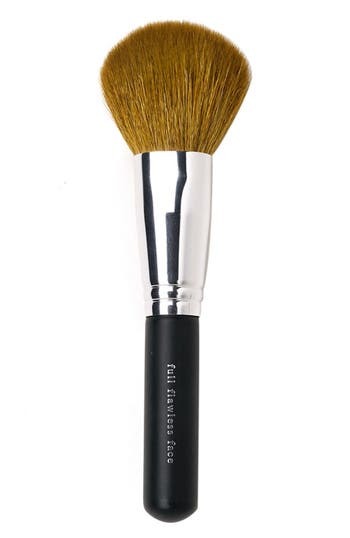 I have listed all of the makeup used below. The pictures themselves are links so if you'd like to check out the makeup, click on the photos. I hope you enjoy today's video! Check out my new eCourse on the ten-item wardrobe. With over an hour of never-before-seen video instruction, notes and quizzes, you will be on-track to creating your own ten-item wardrobe. For those of you who already do the ten-item wardrobe, this course will keep you focused and provide further inspiration. Enjoy! Here is a great testimonial on the eCourse from LaTonya G, who writes, "This course was great Jennifer. Thank you for your insight on something that has become a bit of a burden for me--clothes. I have tons of clothes, but tend to wear the same few pieces often. This course has given me clarity on perhaps why I keep shopping (boredom) for things I don't need nor even wear." Madame Chic fan, Martha McIver, created an art installation of the ten-item wardrobe for the Palouse Women Artists show titled, "A Stitch in Time". Here is a photo of her submission. Thank you, Martha! Hi Paula, I admire your resolve. When you learn the secret to do things with a happy heart, life becomes much sweeter! In our homeschool, we learn Latin. This is a task scorned by many who see Latin as obsolete or "dead". Besides the argument that Latin remains the language of science and law, Latin also has value as we examine our own language and culture. I agree with your opening statement, that we don't want to "adult" and instead want to be constantly entertained and comfortable. I was convicted of this desire when I heard a dissection of the Latin roots of the word "amuse". The Latin prefix 'a -' means 'not'. The root 'muse ' means 'to think'. As we seek to be entertained every moment we are literally ceasing to think. As Neil Postman puts it in his book 'Amusing Ourselves to Death', by choosing to not think, we are choosing to not take part in our lives, our families, and our society. Thus we are the most depressed and anxious generation in the history of man, despite being the most comfortable and wealthiest, and are causing the disintegration of our society as a whole, the family unit, and ourselves as individuals. Thank you for providing not just mindless amusement but also thought and discussion inducing discourse. Hi Heather, I'm actually reading Postman's book right now. Your comment was so spot-on. Many people feel defensive about the hours they spend each day on entertainment and the pursuit of being "a-mused". It was hard for me to analyze this in myself, but when I did, I was finally able to make dramatic changes in this area of my life. 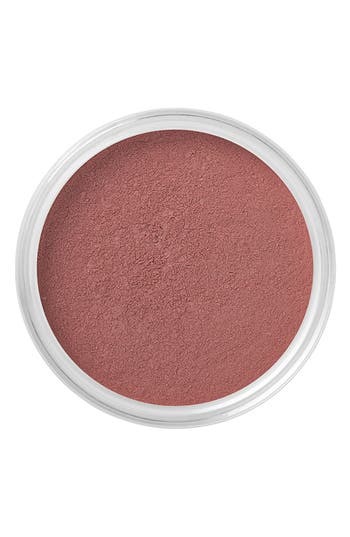 Today, I would love to know what mineral makeup you love, if any. 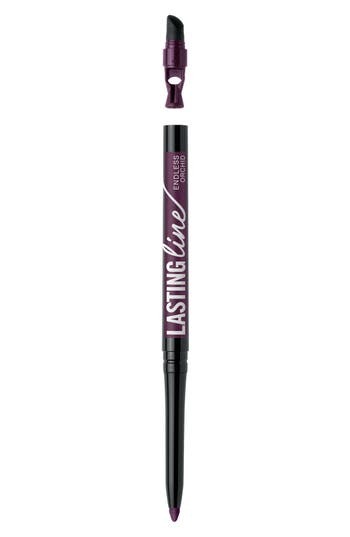 Do you have a fall makeup routine? What are your thoughts on the comments of the week? Let me know and your comment could be chosen as the comment of the week. See you on Thursday! While walking through Home Goods this summer, I came across this canvas print that says "I Can't Adult Today". While I think that this canvas is meant to be a light-hearted joke, I couldn't help but think that many people today actually do have a hard time tending to adult responsibilities. This generation has turned the word adult into a verb: adulting. And they sure are having a hard time doing it! What does this mean for our future and for our children's generation? I hope you join me for today's Teatime with Jennifer video, as we sip a cup of tea and wonder at the marvel of adulting. This is how college students used to dress via Town and Country. carrottopreads features Madame Chic in good company! Also... to track our European adventures, be sure to follow me on Instagram or Facebook. Christina Writes, "Your fall and winter clothes are so beautiful and chic! I just ordered my last two core items and one extra which I think should do it! There was one dress I wanted but my size is now gone but I'm excited about my order and how freeing it feels to be done! Two questions... I have a beautiful black maxi dress that I love with sandals but feel lost on how to transition it to cool weather. What type of boots will you wear with your maxi? I'm wondering if ankle boots will look ok? I feel like my riding boots will be too bulky under it. Also, my biggest trouble with completing a 10 item wardrobe is quickly finding things that I like the fit of. I order and return so much and shopping in a store would be nice but I'm a mom of almost 8 so just don't want to spend free time in a mall. Do you always find what you like right away? I'm sick of the ongoing orders and returns." Hi Christina, Thank you! With a maxi dress, you can definitely wear ankle boots or if it's still warm weather, ballet flats. Riding boots might be too bulky under it. You won't know until you try. I also understand your plight with not wanting to spend a long time on shopping. I am in the same boat right now. This year I needed to quickly order my wardrobe before my trip, which is why I ordered my clothes online, and I'm very happy with all of my choices. As you continue the ten-item wardrobe, you become really good at knowing what will work for you and what won't. Please keep us updated! I am so excited to announce a new eCourse on the Ten-Item Wardrobe. I was inspired to create this course for everyone who is curious about the ten-item wardrobe and would like all of the information about it consolidated in one place. My course has well over an hour of never-before-seen video instruction, as well as written notes and quizzes. This total immersion in the lessons of the ten-item wardrobe will give you the motivation you need to get started with your own today! - Should my children have a ten-item wardrobe? - What to do if your job has a specific dress code. - Weight loss and the ten-item wardrobe. - The benefits of keeping a ten-item wardrobe. I wanted the course to be affordable for everyone, so it is being offered at only $5. It will truly be the best $5 you have ever spent because the ten-item wardrobe will change your life in the most unexpected ways! This course is not only for newbies to the ten-item wardrobe, but also for those who are already doing it. It will give you the boost you need to carry on. Is your closet stuffed to the brim with clothes, but you still feel as though you have nothing to wear? Are you spending too much time and money on shopping and still feel dissatisfied with your clothing? Are you interested in living a minimalist lifestyle? In this course, I will reveal the revolutionary concept of the ten-item wardrobe. I discovered this stylish secret while living in Paris and it has truly changed my life in so many positive ways. If you are one of the millions of people who have watched my TEDx talk or read the New York Times bestselling Madame Chic books, you can be sure that in this course we will delve deeper to make the ten-item wardrobe concept stick. In this course, you will learn all of the action steps necessary to achieving a ten-item wardrobe. You will also get answers to frequently asked questions, understand the mindset needed to switch to a capsule wardrobe, and glory in all of the benefits that a ten-item wardrobe will bring you. Most important, you will get the motivation you need to get started and switch to the ten-item wardrobe today. **Please note: due to my travel schedule, I will not be uploading a blog this Thursday. I look forward to seeing you next week! I have partnered with Halsbrook.com once again to bring you 6 new beautiful collages to inspire you for fall. Halsbrook is an online store with a beautifully curated collection of clothes, totally in line with the Daily Connoisseur aesthetic. Today, I'm collaging their new arrivals for fall to share some of my favorite looks. Let me know in the comment section which look you like the most! Casual Saturday Enjoy a weekend stroll through the city in this chic, yet casual look. Pair it with a blazer to stay warm. Cambio Parla blue stretch denim jeans, Edward Achour White Crepe Blouse with bow detail, Luana Italy Paley black satchel, French Sole Arabella red leather ballet flat. Thacker Sabine cognac leather bag, Marc Fisher Ltd 'Zala' Pump in Beige . So.... which is your favorite look? When customers shop full-price items through September 16th and enter the code LOVEFALL at checkout, they will receive a gift card for their next purchase. Check out my previous collaborations with Halsbrook: 7 Ways to Style a Neutral Dress and 6 Chic Summer Looks. Thank you to Halsbrook for sponsoring another fun post on The Daily Connoisseur. Happy fall shopping! *All of the clothing and accessories featured are from Halsbrook, except for the shoes. The shoes are either from Nordstrom or French Sole. Please note that French Sole does not ship to America.